Our 2019 goal is to raise $2,500 by Mother's Day, which will provide 3 months of shelter and meals for a family while they look for a home. Purchase a card at any Weaver Street Market or online, and we'll mail it for you. Proceeds support moms and families transitioning to permanent housing. We'll mail it for you! 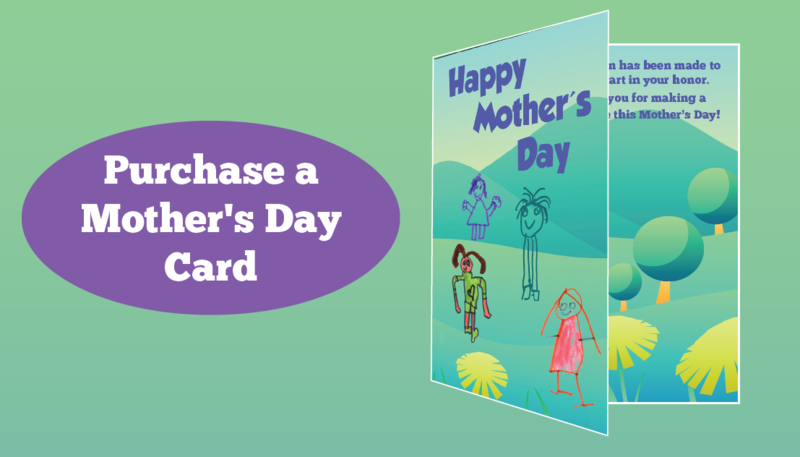 We will begin mailing Mother's Day cards the first week of May and then every day thereafter. International cards will be mailed beginning May 1. ﻿$10 per card minimum or. $50 per card minimum, mailed internationally. All proceeds benefit HomeStart, IFC's shelter for women and families.